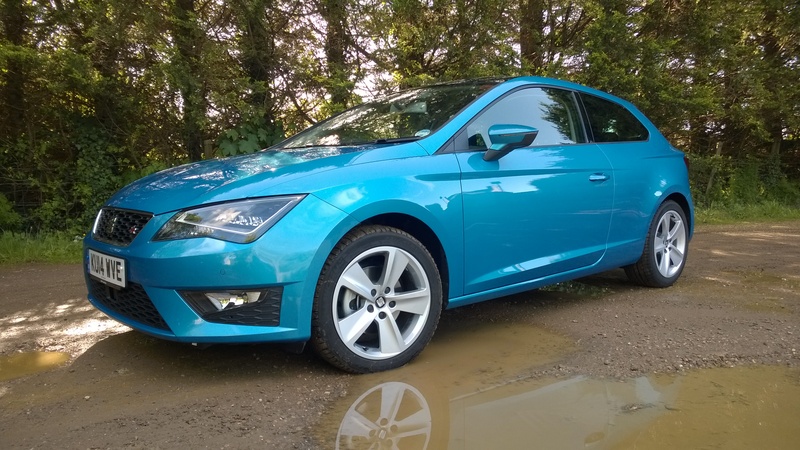 For the first time the Spanish firm has extended the Leon family by offering a three door version along with a practical estate, all of which are based on Volkswagen’s new MQB platform. The Sport Coupe loses none of the Leon’s sharp good looks either – in fact it has a sleeker roofline and a more raked rear window line, which help make it look lower and wider than it is. The sportier FR trim which you see here brings a twin tailpipe exhaust, sportier bumpers, LED taillights and attractive 17 inch alloy wheels. In Alor Blue, it turns heads everywhere it goes. Inside the excitement fizzles out with a smart but plain looking interior, but there is no denying that it is very well built and uses some lovely feeling materials in all the right places. 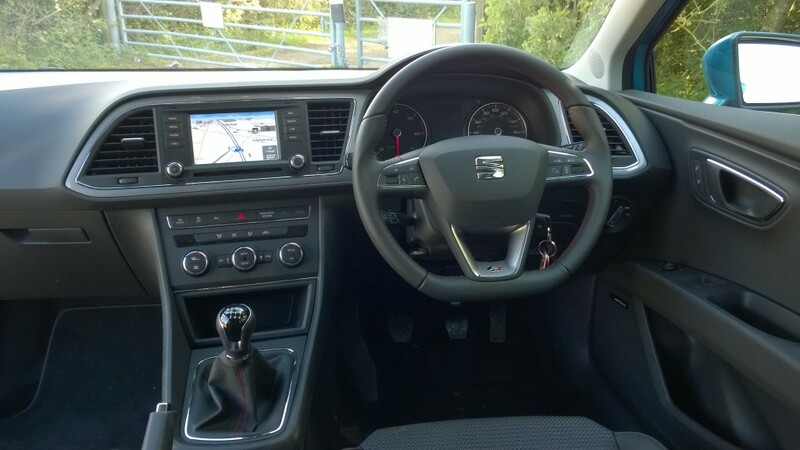 The dash is sensibly laid out with controls well-presented and clearly labelled with many functions controlled through the excellent touchscreen infotainment system. The seats have generous side bolsters for that sporty feeling and the red stitching adorning the seats, wheel and gear knob is a nice touch. Space for four is good and the boot is a useful shape too. 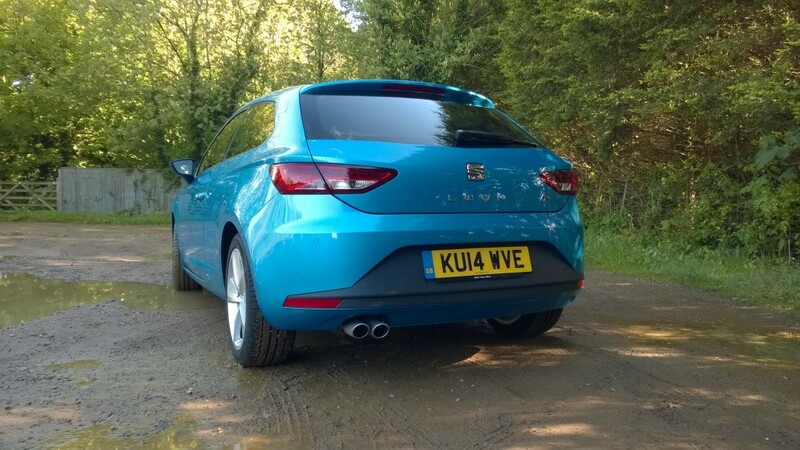 SEAT offer a wide range of engines to suit most needs but the model I sampled came fitted with the 2.0 diesel unit producing 148 bhp mated to a six speed manual. 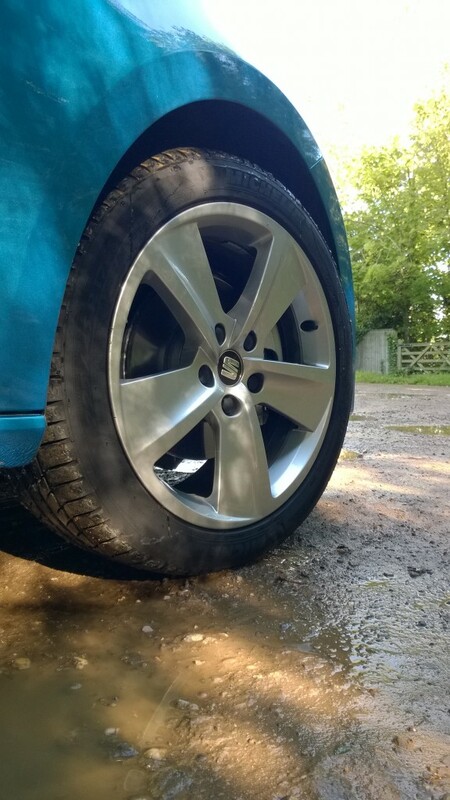 It serves up a healthy 320 Nm of torque between 1,750-2,000 rpm which makes for rapid acceleration thanks to the new Leon’s lower kerb weight. 0-60 mph is dispatched in just 8.4 seconds with a good healthy slug of mid-range torque ready whenever you need it. There’s also a great deal of flexibility to the engine which makes it easy to exploit the power on offer, although it can be a tad noisy under load. 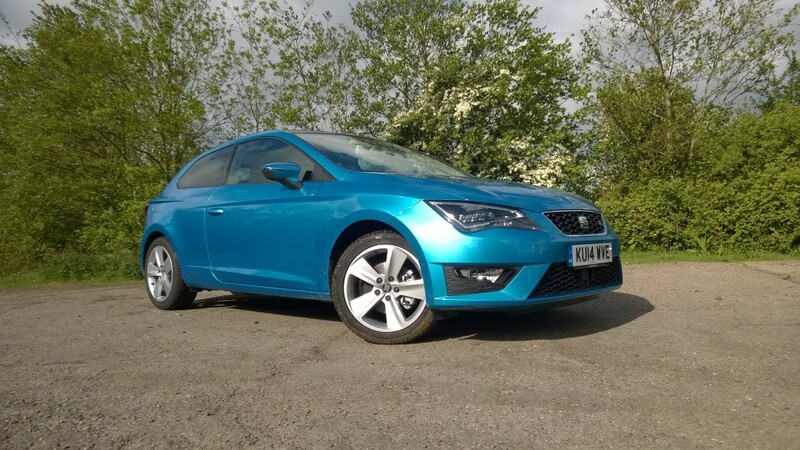 Thanks to the all-new platform the Leon is a cracking little car to drive. Despite making do with a more basic torsion beam setup at the rear, it turns in keenly, grips well and remains balanced when cornering. Thanks to a more sporty suspension setup it also handles well with just a smidge of body roll but a great deal of fluidity which enables you to thread the car through bends convincingly. The numb steering is all that really gets in the way of feeling at one with the car. When you want to take things a little more slowly there Leon is happy to oblige with a smooth and well-judged ride that soaks up all but the worst imperfections and refinement is top drawer, even at higher speeds. As the FR trim level sits towards the top end of the range, the Leon comes loaded with standard equipment. Dual zone climate control, electric windows, front and rear parking sensors, alloy wheels, electrically folding door mirrors, Bluetooth and USB stereo connectivity are all standard. 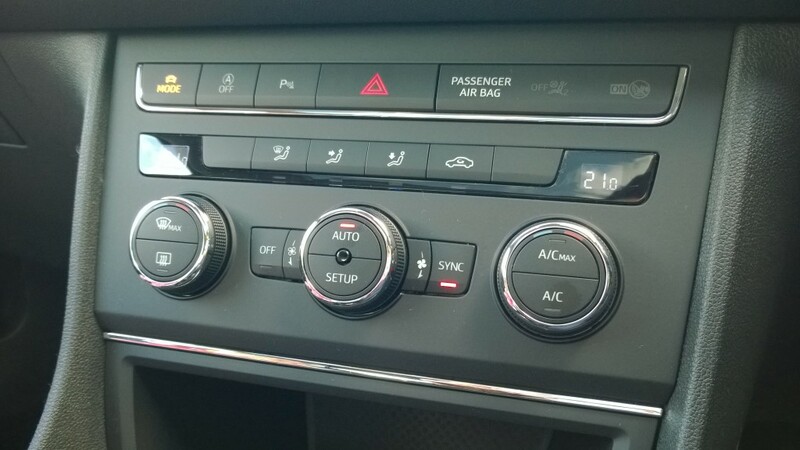 You also get Seat’s Drive Profile system which offers Sport, Comfort, Eco and Individual settings enabling the driver to tailor the cars steering and engine responses for different conditions. 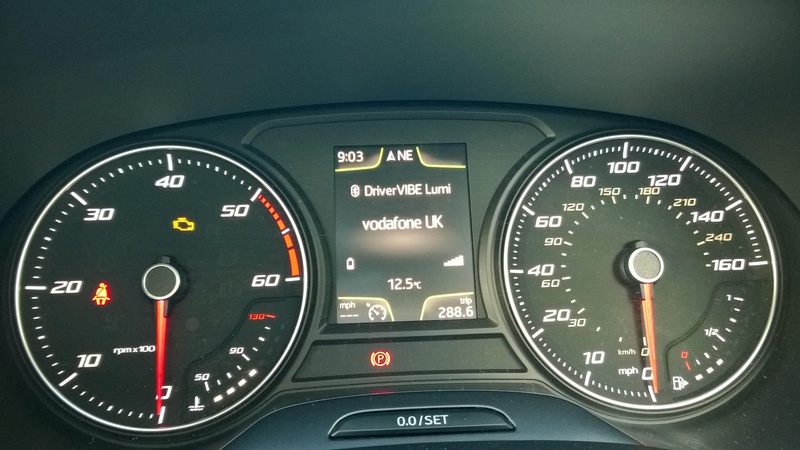 My test car came with number of optional extras including LED headlights, Sat nav, DAB radio, an electric sunroof, upgraded stereo and adaptive cruise control which add an additional £2,855 to the £21,265 asking price. Although the FR has a large gutsy engine, running costs are surprisingly low. With combined fuel economy of around 62.8 mpg and with emissions of just 106 g/km, it will also only cost you £20 in road tax. Whilst I had the car I managed 58 mpg over a mixture of driving conditions making the 50 litre fuel tank stretch a long way. 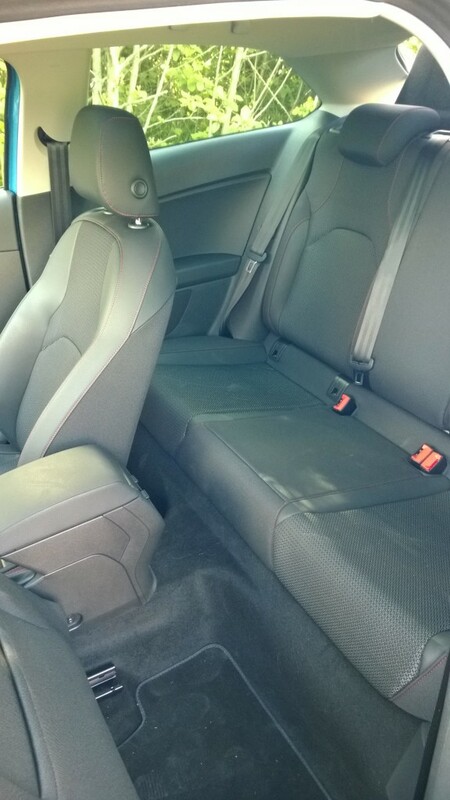 This entry was posted in Car Reviews, Family Car, New Cars, News and Views by Rob McSorley. Bookmark the permalink.